This Powdered Blue Satin Dress Should Have Been Ariana’s Grammy Outfit, Well She Boycotted the Award Show. Ariana Grande would have stunned at the Grammys in this powdered blue satin dress made by Zac Posen. Although she boycotted the award show due to some reasons. The stars reason for boycotting the award was as a result of a disagreement with the producers, because they wouldn’t allow her to perform her new single, 7 Rings.Ari was apparently ‘insulted’ when producers would not allow her to her to sing her new track, despite the fact that they had originally come to a compromise. ICON TOUCH SERVICE COMPANY IN CONJUNCTION WITH LA MODE MAGAZINE PRESENT 9JA Children’s Day Spelling Bee Competition! 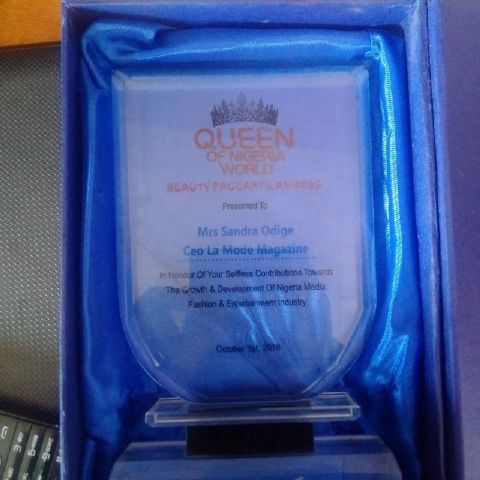 Sandra Odige : Recognized By Queen Of Nigeria World Pageant!